“Mama” Redell Comeaux Miller was born and raised in Scott, until her parents moved the family to the countryside near Scott to become vegetable farmers. Being the eldest of four children, she had responsibilities at early age of helping her dad with the family farm and keeping up with house chores by night. At 18, on an October afternoon while working in the vegetable field, she met her husband Geary Miller, who was just out of the Marine Corps, and they married the following February. They have two children, Tommy and Tammy Miller. “Mama” Redell worked as a housekeeper when the children were little, but after a few years opened a day care center in Scott on Mills Street, helping to raise children in the community. As her children grew up, she decided to begin working for the Lafayette Parish School Board as a substitute teacher. During this time, she became the PTA President for Westside Elementary, “Ditto mom” at Scott Middle, and helped with the fundraising for schools. In 1997, because of her Cajun French, Vermilionville hired her as the Cajun Cooking School Demonstrator. A year later she was promoted to Executive Chef of the restaurant and later the caterer for all the special event functions. 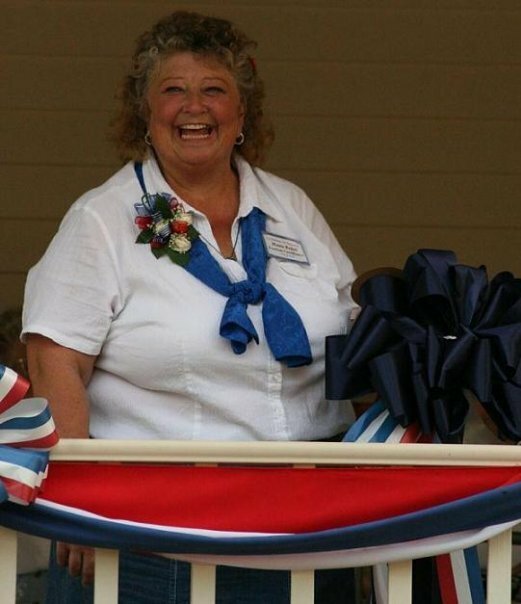 In 2010, Redell opened a cooking school and she moved it to Randol’s Restaurant,working with tourists and teaching them about the food and music. Realizing how much she enjoyed teaching about her heritage, she was hired by the University of Louisiana at Lafayette as the Elderhostel Coordinator. Later, she became Curator and Tourism Coordinator for Crystal Rice Plantation in Crowley, working closely with Mayor Isabella Delahossaye. Working in Scott, she coordinated the “Triangle Club Tribute,” a mini festival honoring and celebrating the musicians. She has coordinated Cajun French classes, Mardi Gras mask and capuchon-making, silk egg-dyeing, children french-speaking contest for C.F.M.A., gingerbread house-making classes, Easter egg hunts, heritage day and Tintamarre for Jumelage of Scott. Redell now teaches programs on rice and crawfish farming, evolution on Cajun French Music, rural Cajun Mardi Gras, and old fashion Cajun dance lessons for tour groups. With the help of musicians like D.L. Menard, Don Montoucet, and others, she teaches about 1,200 people a year. She hosts the now famous Friday Night Jam. Mama Redell is a member of the City of Scott Jumelage Twinning Committee, C.F.M.A. (Cajun French Music Association), the National Board, and Le Cajun Music Festival Board, and the City of Scott Genealogical Heritage Society. In 2010, she received the Cultural Heritage Preservation award from the C.F.M.A.